rick miller to stand in rutherford. 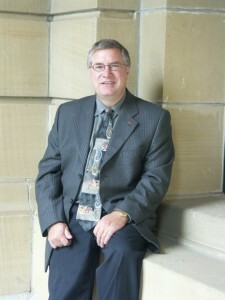 Liberal Opposition Chief of Staff Rick Miller will seek the Liberal nomination in Edmonton-Rutherford. In front of almost 200 supporters at a BBQ fundraiser, former MLA Rick Miller announced that he will seek the Liberal nomination in Edmonton-Rutherford in the next provincial election. The next election will be Mr. Miller’s fourth time standing as a candidate in that constituency. He was narrowly defeated in the race to replace retiring Liberal MLA Percy Wickman by former Reform Party Member of Parliament Ian McClelland in 2001, but trumped Mr. McClelland in 2004 with a 3,048 vote margin. As MLA he served as Official Opposition Finance critic from 2004 until 2008 and was widely seen to have earned the respect of his caucus colleagues and government members for his respectful questions and intelligent debate. In 2008, Mr. Miller was defeated by PC candidate Fred Horne in a tight race that was decided by a slim-margin of 58 votes. Mr. Miller is currently the Chief of Staff for the Official Opposition. Rutherford is a constituency where the Liberals could benefit greatly from a vote-split caused by a stronger Wildrose Alliance in the next election. The cynicism generated by Mr. Horne’s traveling “Alberta Health Act” road show could also take some shine off this government backbencher who was once touted as a future cabinet minister. A Facebook event for an upcoming local New Democratic Party event lists Melanie Samaroden as a prospective candidate for that party in this constituency. This entry was posted in Alberta Politics and tagged Fred Horne, Ian McClelland, Melanie Samaroden, Percy Wickman, Rick Miller on August 5, 2010 by Dave Cournoyer. Any truth to rumors Michael Walters is thinking of running here for the Alberta Party? Rick Miller was a fantastic MLA. He had my vote in 08 and will have it again at the next vote. Good luck! Any truth to the rumours that Mike Nickel might run for the Wildrose Alliance? Either in Rutherford or Whitemud? A three way race would sew it up for Miller. Michael Walters would make it a three way race. Haven’t heard that rumour before. The Liberals are smart to run Rick again, specially with Bruce Miller, Mo Elsalhy, Weslyn Mather and possibly Bharat Agnihotary all contemplating coming back. This team or group thing should play out well for all of them. The other side of the coin is please don’t run Jim Cane, Brad Smith, or Aman Gill. Find someone new in these ridings. Wildrose has announced that nominations for 11 provincial ridings will open on August 6th, and Rutherford is the only Edmonton constituency to be given the green light in this first round of nomination openings. The application deadline for the Wildrose nomination in Rutherford will close on August 27 and a nomination event, if required, will be held in early October. I talked to Mike Nickel at a Wildrose event but didn’t ask him about whether he would seek a provincial nomination. I just asked if he would consider another run at city council and he ruled that out. Bruce Miller isn’t likely to run again. I don’t care how much it gets spun by nameless comments on blogs. The guy is a stalking horse for..no-one. But Liberals are in a panic about Glenora, and throwing around whatever name they think sounds threatening. Truth is, even if Bruce Miller was going to run, instead of just letting his name get thrown around – he’s never been a star. He was always a pretty lazy, demoralized MLA. That’s why he lost to the uninspiring Klimchuck even as the NDP vote cratered. If Liberals want to take back Glenora, we need to do better. Getting Bruce Miller back would be awesome. The Leg is severely lacking in the “Members who look like Colonel Saunders” category. The only thing he motivated me to do was buy chicken, which can hardly be considered threatening. Seriously though, Miller was even less responsive and more useless than Tougas, and that was saying something. Okay, really what poll is the Alberta Party registering in? 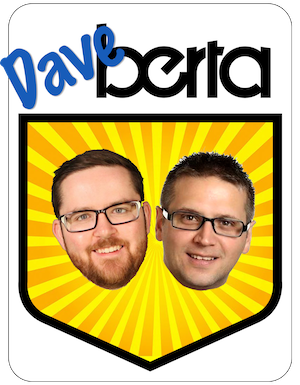 How is any Alberta Party candidate going to make it a three way race. The Alberta party got 42 votes in the 2008 election. In regards to Miller and Mather, can’t the Liberals come up with something better then just rehashing the same Liberals every election?